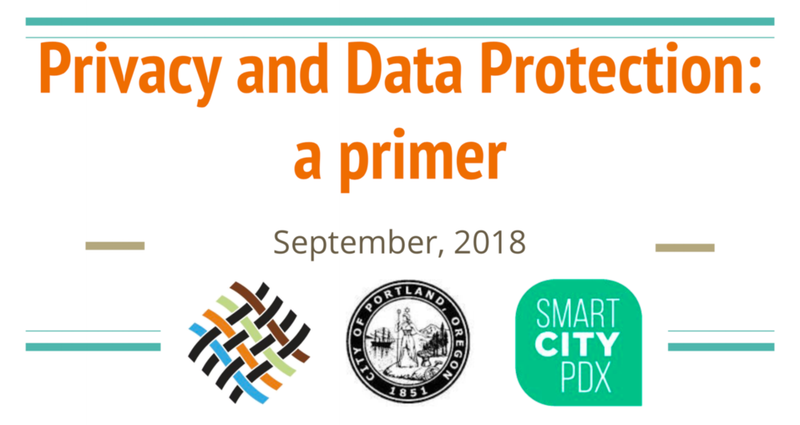 The City of Portland invites digital Inclusion organizations, advocacy groups and residents interested in digital privacy to our Privacy and Data Protection Initiative community discussion on November 6 at 10 a.m. at the Old Church (1422 SW 11th Ave. Portland, OR 97201). The Bureau of Equity and Human Rights, the mayor’s office and Smart City PDX, are coordinating a work plan to develop a list of Privacy and Data Protection Rights for City of Portland services. We have invited Digital Privacy officials from Seattle and Oakland city governments to help us facilitate this process. We aim to bring a first draft of Privacy and Data Protection Rights to this two-hour community session, where we expect to have a dialogue with community members that are particularly involved with promoting digital equity and developing technological capacity. If the City of Portland passes a set of Privacy and Data Protection Rights, it would be the first in the nation to step forward in creating a new level of understanding for our communities in a data-rich society. Adopting privacy and data protection rights not only involves a deeper commitment from the city government, but also greater community engagement and understanding of the responsibilities of owning your own data and the implications of that in people’s lives. Please, reserve your space using in the following link and join us in this discussion. We look forward to listening to your opinion and perspectives on these important issues.